If you live or work in the Buckhead area, you probably already know about Ford Fry's latest restaurant King + Duke in the former Nava location. I happen to work in the adjacent building at Buckhead Plaza, and I couldn't be happier with both the food and the redesigned location. I've only had dinner there once, during friends & family, and the kitchen was still working through the kinks. Fortunately, King +Duke is MORE than humming along, they are accelerating! Here are many of the incredible lunch dishes you need to order! To start, my favorite is the Crudite with an absolutely addictive lemon ricotta. I may or may not have licked the plate...Many restaurants are serving deviled eggs these days, and I'm always a sucker for 'em. 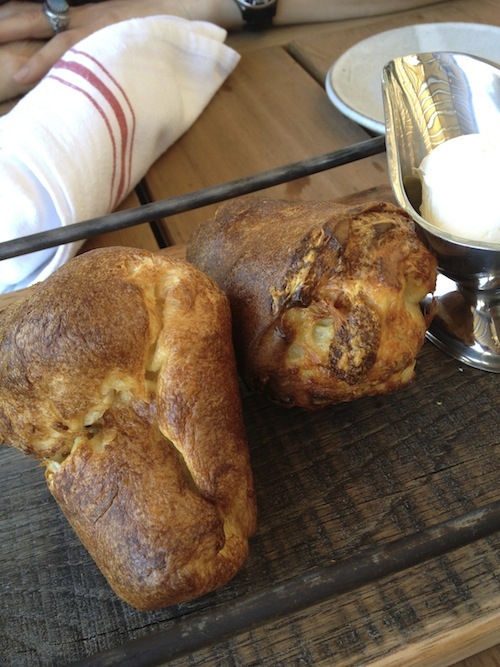 King + Duke does them well!If you DO go for dinner, or an after-work drink, you'll be treated to their tasty popovers. They are perfectly airy and buttery at the same time! 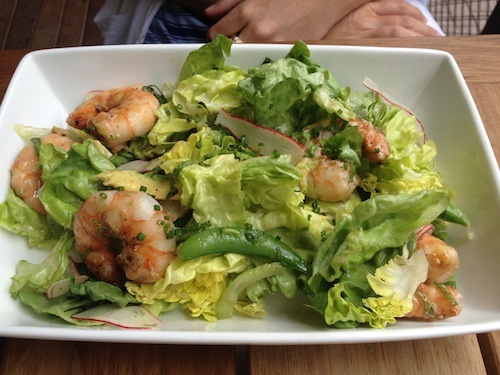 If you're in the mood for a salad, go for the snap pea, butter lettuces, and shrimp salad. It's delicious. Still, the BEST thing about King +Duke is ordering food that's somehow been touched by their wood oven. Everything is SO smokey you can taste the flavor in every bite. My single favorite order is the "Ploughman's Lunch" which features the roast from the previous night's dinner (think TWO days of flavor - yum), a salad, egg/tomato side, and bread. Absolutely divine! Three pictures below...On days when I'm craving a sandwich, King + Duke has plenty of choices. New to the menu is the pastrami. The taste of butter makes this dish a tad heavy, but if you have a nap in mind, you'll be in great shape! Otherwise, I'd split it with a friend. The pork roast version of a "French Dip" is also split worthy and about as tasty a French Dip as you'll find! Just remember it's PORK and not Beef!King + Duke's sandwiches are great, in part, because of the amazing bread (and of course that amazing wood oven). 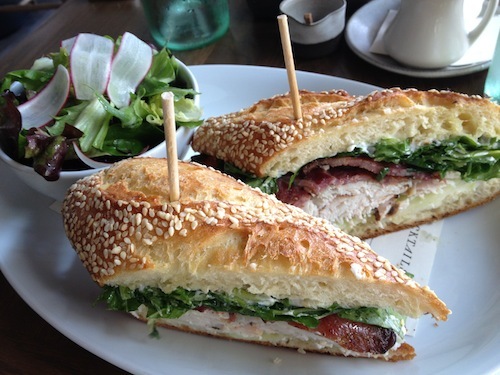 If you're into moist turkey meat and bacon, be sure to grab their Roast Turkey sandwich. Wow!! !The Filet of Fish is the lighter option in the sandwich category if you want less bread and don't care for smokey food!However, if you REALLY want fish, order the trout. The beurre blanc sauce is worth every last calorie.